CALENDAR GIRLS , directed by National Award winning director MADHUR BHANDARKAR is a realistic film which catches your nerve and you leave the cinema hall with the pain the girls of the glamour industry go through still wandering in your mind. Calendar Girls exposes shocking truths and reality about the glamour industry which looks glamorous on the exterior but is too painful on the interior. The film revolves around the lives of 5 aspirant girls who become aware of the horrific facets of the industry and meet tragic ends. ORIFLAME is the on-ground makeup partner of the film. The brand kept a special screening of the film for all the Oriflame favourites at Carnival Cinemas, Harmony Mall, Goregaon West, Mumbai on Saturday, 26th September 2015. I was glad to receive the invitation. As you know Oriflame products are marvellous and make you look beautiful. The actresses of the film were clad in makeup by Oriflame. The makeup complemented every mood the actresses were going through. The makeup was kept glamorous and minimal at times, depending on the mood and occasion. I opted to go for a soft look and wore a super cute pink color top with eye-catching embroidery. I paired the top with black leggings. Since I wanted to pull off a girly look for the movie screening, I left my hair open and put a pink band. 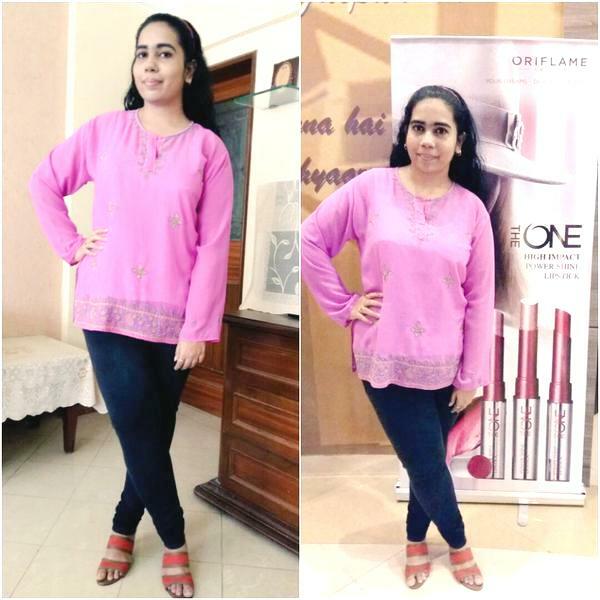 As far as the makeup goes, I was all decked up in Oriflame products! What a wonderful afternoon it was! Thoroughly enjoyed the movie!! Hello everyone! Hope you all are doing great!! Famous Indian Fashion Designer SONAAKSHI RAAJ personally invited me to attend her show at the very prestigious LAKME FASHION WEEK WINTER FESTIVE 2015. The fashion week is a 5-day extravaganza which was held at PALLADIUM HOTEL, MUMBAI. I was overwhelmed to receive the invitation from her. I reached the hall where the show was about to commence. 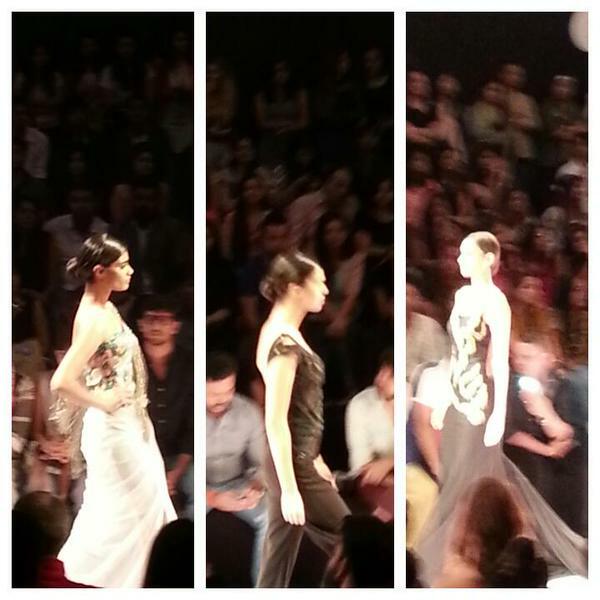 Sonaakshi’s show began on a high-octane note. The models walked in stunning creations. The collection was named as ‘The Run-Away Bride’ which was the best representation of a contemporary bride who loves high-class fashion and at the same time wants to feel comfortable in her clothes. Sonaakshi’s sister Malvika Raaj opened the show for her. She walked the ramp in a fairy-like creation by the designer. 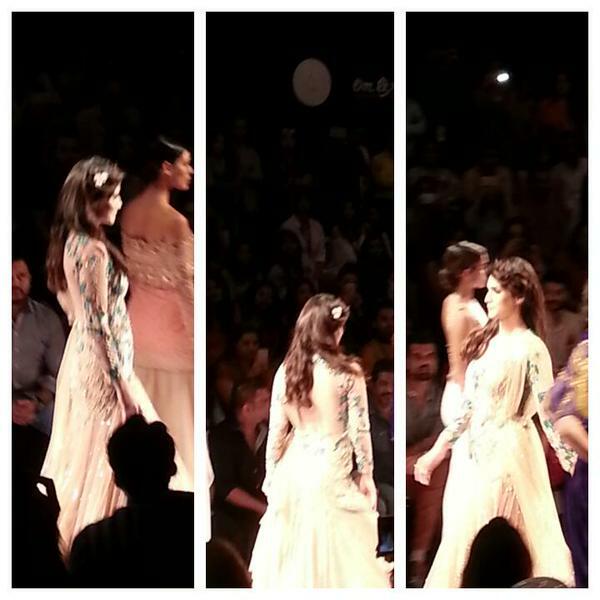 Actress Kriti Sanon turned showstopper for Sonaakshi Raaj. She set the ramp on fire in a breathtaking outfit from the collection. Each and every creation spoke of understated luxury, glamour and class. Everything about the show was just perfect. The creations came to life with the enchanting lights and intoxicating music. 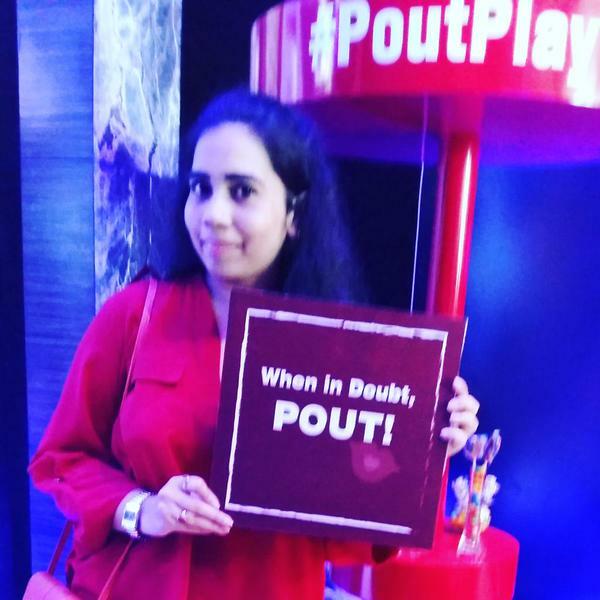 Had a playful time at the LAKME Playzone! 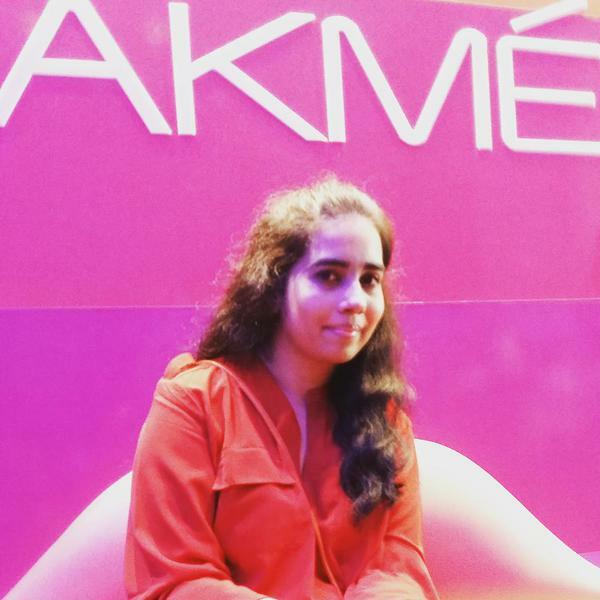 Totally Enjoyed at the LAKME Fun Booth!! Deepika Padukone’s film PIKU saw a huge round of promotions. The film was heavily promoted. During these promotions PIKU movie Twitter handle organized a contest on their Twitter page and asked a few questions about the film. I participated in the contest and won it! The prize was to meet the star cast of PIKU – Deepika Padukone and Irrfan Khan. I would have loved to meet Amitabh Bachchan who was also a lead actor of the film but sadly he was unavailable that day. The Meet and Greet event was held at JW MARRIOTT HOTEL, MUMBAI. JW Marriott is a plush hotel. 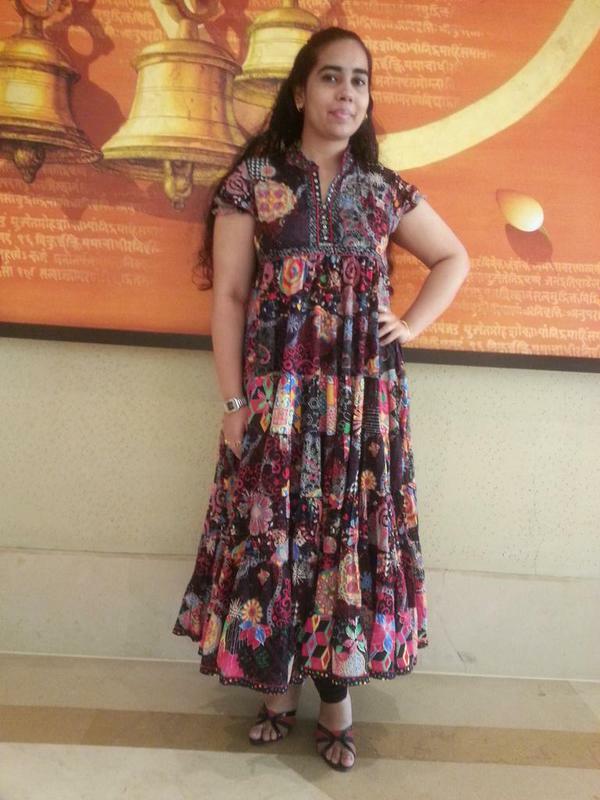 This was my third time at the hotel (have been there for 2 events – Satyagraha film event and DOVE Play Bloggers Meet). The hotel staff is very warm and the Grand Ballroom is something to die for. Events take place on a big scale here. It was a fun and exciting experience. I met Deepika and Irrfan. 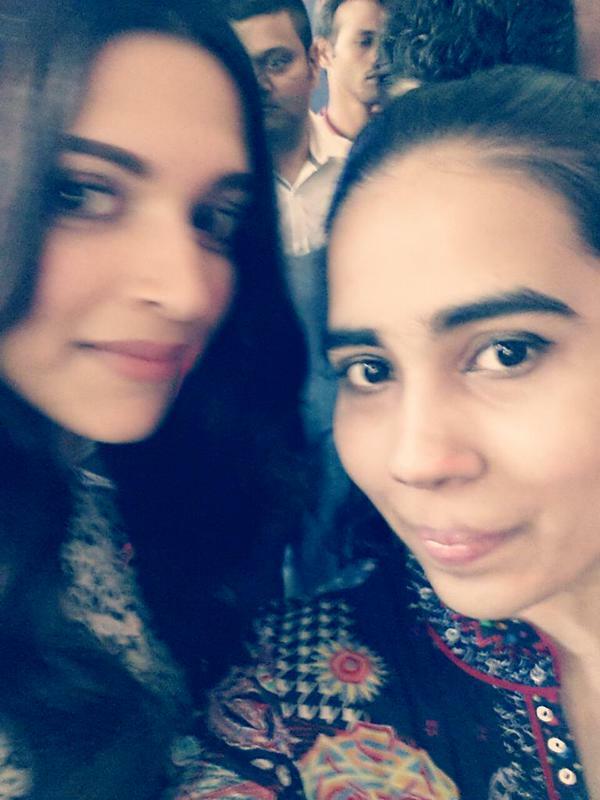 I even managed to get a selfie with Deepika! Me with lead actors Deepika Padukone and Irrfan Khan! I’m standing in the grand JW Marriott Hotel!! Just after 3 months, I won another contest held by PARACHUTE ADVANSED . The contest was called ‘Tender Love and Care Moments Contest’ which was also held on the brand’s Facebook page. This time around the contestants were supposed to share their most lovable and adorable moments with anyone special in their life. I participated and shared my lovely moments with my grand-father (Nanaji) who is a very important part of my life. He plays a key role in my upbringing. Again, amidst heavy participation I was one of the 2 winners declared. I was literally jumping with joy because the prize was quite thrilling. 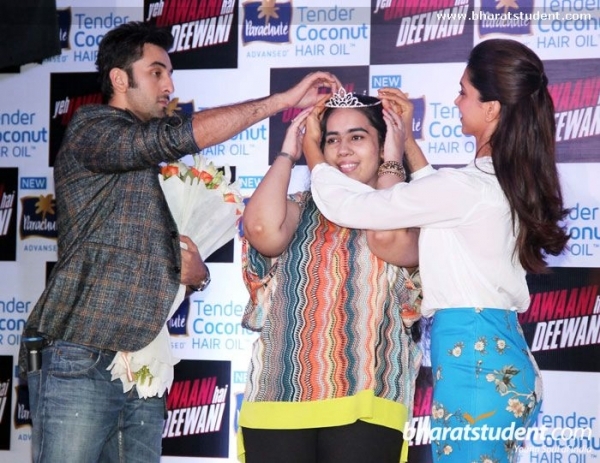 The prize was to be crowned Parachute Advansed’s TLC QUEEN by none other than the heartthrobs of Bollywood RANBIR KAPOOR and DEEPIKA PADUKONE. Just imagine! The event was grandly executed at FOUR SEASONS HOTEL, WORLI, MUMBAI . I really enjoyed my entire day at the lavish hotel. The food was awesome and hospitality was too good. Most importantly, the event was covered in all publications, websites and YouTube. I saw myself everywhere in the media coverage which was a memorable moment for me. 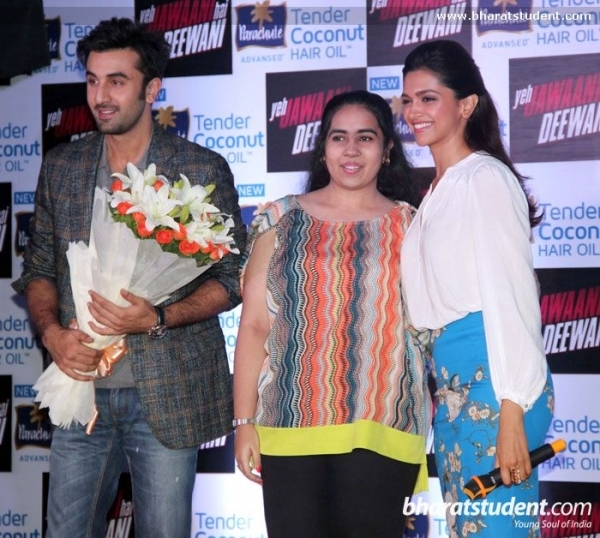 Me on the stage with Ranbir and Deepika!!! I would like to thank Parachute Advansed and Team from the bottom of my heart for making me experience these beautiful and special moments which will be cherished by me forever and ever..!!! It gives me immense pleasure to unveil a new category to my blog which is named as EVENTS ATTENDED. This section of the blog will cover all the events I have attended so far and the upcoming events. Let’s begin with the very first event. I had won a contest held by PARACHUTE ADVANSED JASMINE . It was called ‘Shine Moments Contest’ . It was basically a campaign that aired as a commercial on television which showed brand ambassador ANUSHKA SHARMA talking about her moments and achievements that made her shine. The contestants taking part in the contest were also required to share their biggest achievements. I took part in the contest and wrote my shining moment when I topped in my school by scoring the highest percentage in English and Economics in ICSE (10th) board exams. That was an overwhelming moment when I was felicitated on the stage by the Principal. I was extremely happy since my parents and teachers were proud of me. The ‘Shine Moments Contest’ held on the brand’s Facebook page received immense participation from all over the country. I could not believe it when I was declared as one of the winners of the contest! I was so happy!! The prize was to meet Anushka Sharma. The event was executed at the best level by Parachute Advansed Jasmine team at THE LEELA KEMPINSKI HOTEL, MUMBAI. The hotel is grand and I thoroughly enjoyed all the arrangements, food, decor, everything was perfect. I went up the stage and had a one-to-one interactive session with Anushka. She even complimented me by saying that I was too confident of my age. That’s me! 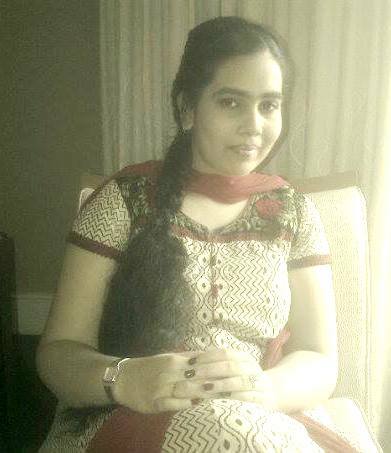 Enjoying in The Leela Kempinski Hotel room..! !